Starting seedlings in the hoophouse, early spring. Our mission is to produce as much nutritious and delicious food as possible for our community, while practising farming techniques that build healthy soils and are beneficial to our environment. We also want to make this food as accessible as possible to all members of our community. Baby tomato plants in the tunnel. 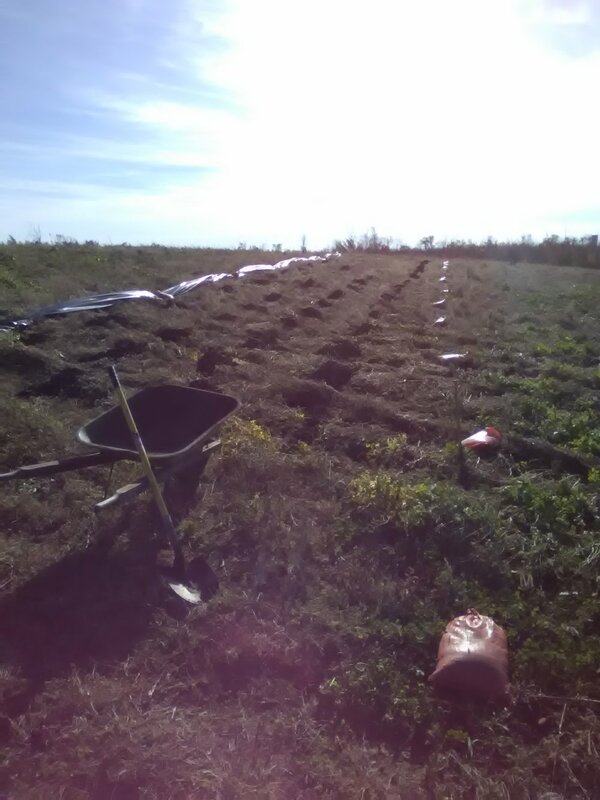 Moving compost into the field for next years vegetable beds. This area of the field was cover cropped all season to reduce soil compaction, erosion, and weed pressure, as well as to help build up nutrients and organic matter, creating healthier soil for next years crops!